Pretty 6mm Sunstone Bracelet with a Sterling Silver carabiner clasp. This bracelet measures approx. 19cm (7.5 inches) long. Please note: Photo is for reference purposes only. The bracelet you receive may not be the one shown. 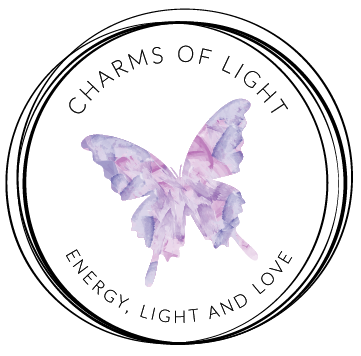 All Charms Of Light Healing Jewellery is Reiki enhanced and created with love and healing intentions. Sunstone is a variety of Feldspar. Sunstone is linked to luck and good fortune. It clears and energises all the chakras. Sunstone instills good nature, heightens intuition and allows the real self to shine through happily. It dissipates fearfulness, alleviates stress and increases vitality. Encourages independence and originality. Especially helpful to those who have difficulty saying “No” to others. Sunstone facilitates self-empowerment and independence. It acts as an antidepressant. Increases self worth and confidence. Encourages optimism and enthusiasm. Stimulates self-healing powers. Most gemstone jewellery is fairly durable, but some care does need to be taken. Remove jewellery before doing any manual labour; or work requiring hands to be immersed in water. Store in a dark place, out of direct sunlight, in a pouch, ziplock bag, or jewellery box - sunlight may cause fading of stones and the humidity in the air can cause tarnishing to silver. Silver can tarnish quite easily, leaving it looking black and dirty. To ensure that your silver is kept shiny it can be polished gently with a jewellery cloth, or you can use a standard silver polish. Copper is likely to develop a distinctive patina. Patina is not a "defect", it is a natural by-product. If you do not like the patina effect, you can clean copper goods using standard copper polish. TAKE CARE using polishes and tarnish removers around your gemstones, as these can cause your gemstones to become dull and fade.